British comedy puppet series Mongrels has been axed by its television station, BBC3. The series, described as "Avenue Q meets Family Guy", centred on a troupe of five anthropomorphic animals who hung around the back of a pub on the Isle of Dogs in London. The BBC is offering viewers the chance to get behind the set of animal puppet sitcom Mongrels. Limited numbers of tickets are available for tours and previews on 13th, 20th and 27th May. A random draw for the tickets will take place between now and midday on 9th May. BBC Three puppet-based animal sitcom Mongrels has won the Royal Television Society (RTS) Craft and Design Award for "Production Design – Entertainment and Non-Drama". Production designer Simon Rogers and his team took the award, defeating popular Channel 4 sitcom The IT Crowd and BBC children's comedy series Hounded. However, Mongrels lost the award for "Tape and Film Editing – Entertainment and Situation Comedy" to Channel 4 sitcom Pete Versus Life. 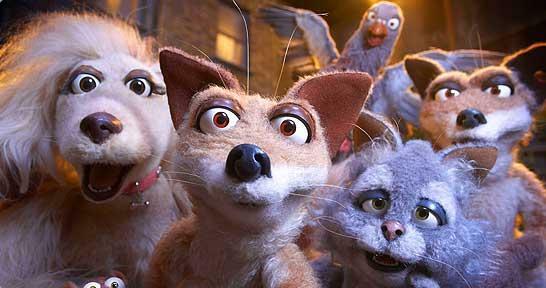 British puppet-based sitcom Mongrels has been nominated for two Royal Television Society (RTS) Craft and Design Awards. The series, which revolves around the lives of five anthropomorphic animals who hang around the bin yard of a pub on the Isle of Dogs, London, has been nominated for two awards which are given within the areas of TV production. The winners will be announced on 24th November. Preview clips of BBC Three adult animal puppet sitcom Mongrels are available before the series begins on 22nd June. Previously known under the title We Are Mongrels, the sitcom revolves around the lives of five wild animals living around the back of an inner city pup. 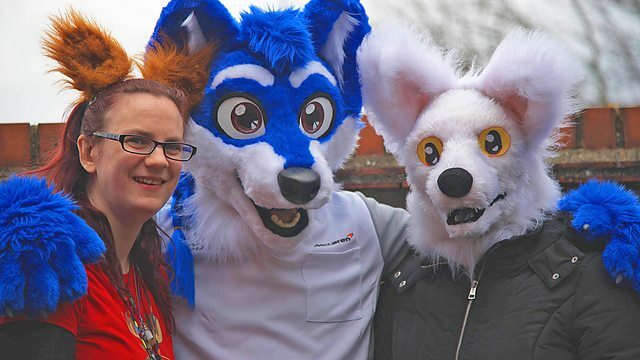 Last month's online BBC article on furries has been listed on the Ursa Major Awards Recommended Anthropomorphics List. "Who are the furries?" written by Denise Waterman on 13th November, has been posted on the list, the purposes of which are, "for fans who want to know what anthropomorphic movies, TV series, novels, etc. others found to be worth looking for", and, "to serve as a guide to which items were produced in 2009, to help fans determine what is eligible to nominate for the year’s Ursa Major Awards". The article, listed in the "Best Anthropomorphic Other Literary Work" category, covers the main aspects of the fandom and features contributions from several members of the fandom including Fred Patten and FurteanTimes.com editor The Chained Wolf, as well as Kathy Gerbasi who has carried out several studies into the fandom. The article was well received by most furries. Positive comments came from sites such as Fur Affinity. FurteanTimes.com, which was linked to the original article, experienced a 254% increase in web traffic from the previous week. Some famous people also commented on the piece. Graham Linehan, the man behind hit sitcoms Father Ted and The IT Crowd wrote on his Twitter account that, "It's like staring into the sun. A sun made of geek. I can only read a bit of it at a time." However, it is probably unlikely the article will win. No journalistic article has ever won an Ursa Major, and other more established figures are more likely to win.